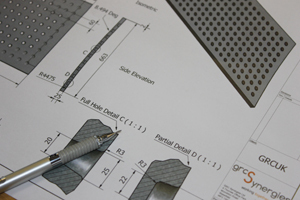 The PBS Synergies Group has a vast experience in the manufacturing of GRC cladding products having originally founded and operated for 5 years fellow GRCA Member GRCUK. 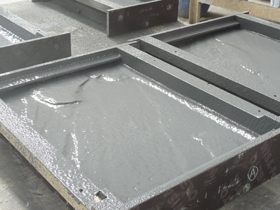 Synergies Moulds is a specialist supplier of both patterns and moulds to the GRC Industry. 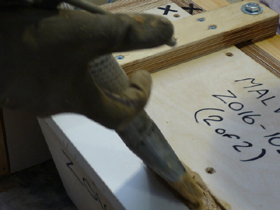 Their craftsmen have extensive experience in the sector and can manufacture from timber, steel, resin and rubber. For three dimensional GRC cladding elements Synergies Moulds can supply folding moulds which considerably assist in the cost effective manufacture allowing flat panel spraying which can then be folded to form geometrically shaped units.